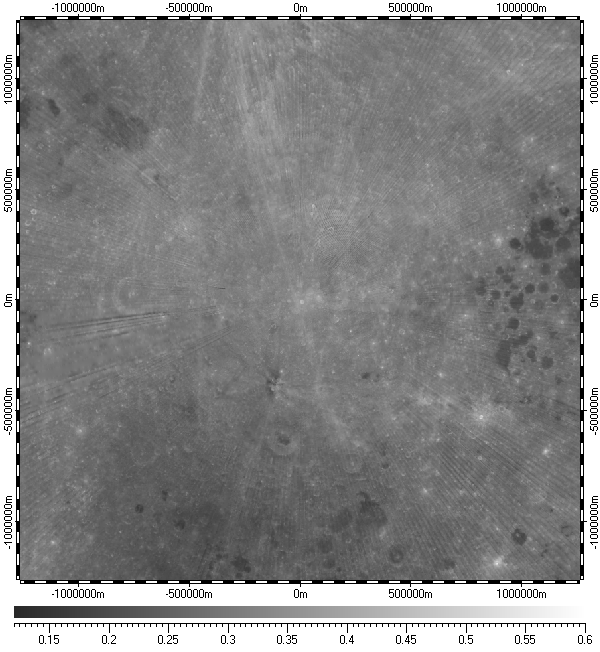 The datum of Albedo of South Pole of Moon, included in the archive, derived from albedo raster data of Lunar Orbiter Laser Altimeter (LOLA) experiment, version 1.0, which was part of Lunar Reconnaissance Orbiter (LRO) mission, and distributed by Planetary Data System (PDS) of NASA. The datum has resolution 1000m. The data uses Polar Stereographic Projection with true scale latitude of -90°. The datum presented here generally in form of .ZRS-files (stands Zipped Raster Set), which is proprietary compressed format of author of the datum. Separated files of the datum are in hierarchical and multi-resolution relation for optimization of speed and appearance upon using in Spatial Aspect Viewer and Spatial Aspect Explorer. Spatial Aspect Map Locator for installation process and easy launching. Spatial Aspect Viewer or Spatial Aspect Explorer for using. MoonASouthPole.zip - Size: 8,531,212 bytes (8.13 MB); MD5: 89BC28B37E0FCEE9A1F2FEA34B880B48.